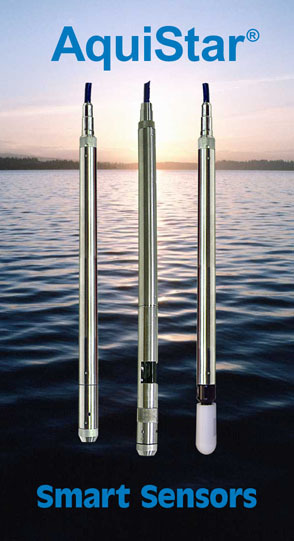 Introduced in 2002, the PT2X Smart Sensor became the first of the AquiStar® line of submersible sensors. Capitalizing on the advancements in miniaturized, low-power electronics and powerful new programming languages, these innovative devices are not only sensors but also dataloggers in small submersible packages. Driven by powerful control software, these systems can store over 500,000 records in non-volatile memory, display real time measurements, as well as transmit readings via wireless telemetry and the Internet, allowing users to monitor their data from anywhere with an Internet connection. The AquiStar® TempHion™ Smart Sensor is a submersible sensor and datalogger capable of measuring pH, specific ions, redox, and temperature. The TempHion™ can network with any other AquiStar® Smart Sensor or with a WaveData® Wireless system to create a versatile monitoring system. The AquiStar® CT2X Smart Sensor is a submersible conductivity/temperature sensor with built-in datalogging. Incorporating a 4-pole epoxy/graphite electrode cell, this extremely durable sensor is excellent for use in rugged field conditions. The 4-pole technology reduces fringe field interference errors, lessens inaccuracy caused by polarization effects, and lowers contact resistance problems. 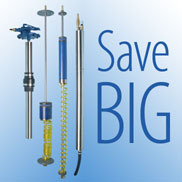 Linear and non-linear temperature compensation features add flexibility. 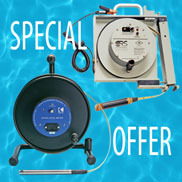 The user can enter specific linear temperature coefficients to match the material being sampled. Alternately, for natural waters, which do not have linear temperature coefficients, the CT2X has a non-linear natural water mode meeting DIN EN 27888 standards. Industry standard RS485 interface allows for easy networking with other AquiStar® Smart Sensors as well as with WaveData® wireless data collection systems. Both the TempHion™ and CT2X come with powerful, easy-to-use Aqua4Plus or Aqua4Push software, affording the user extensive control, including real time monitoring and flexible programming, as well as versatile data display options. Join us for SWANA's 48th Annual Solid Waste Exhibition. SWANA is co-locating WASTECON with the American Public Works Association’s (APWA) Congress & Exhibition. This combined event will have more opportunities to strengthen the solid waste profession and industry. 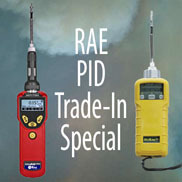 Prices and promotions mentioned in this newsletter are valid through August 31, 2010. 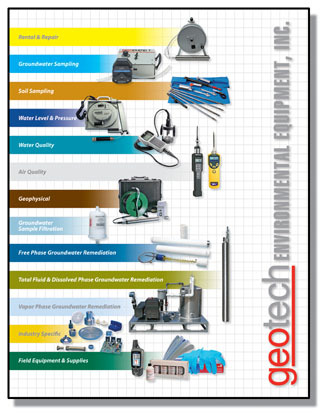 © 2010 Geotech Environmental Equipment, Inc.